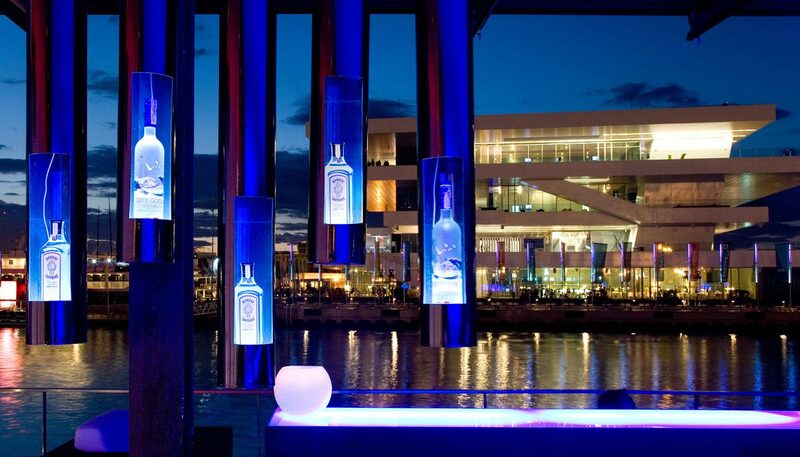 Using the space given by the organization of the “America’s Cup” restaurant, Senzone Port has come to life. 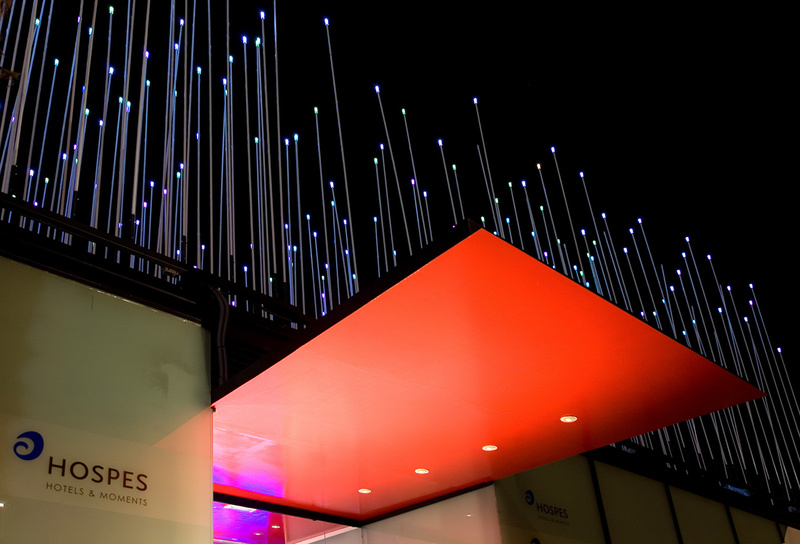 Located right in front of David Chipperfield’s “Veles e Vents” building, the pavilion provides spectacular views over the port, the sea and the races while continuing with Hospes five sense philosophy. The space is the outcome of a careful design, in which light and color play a fundamental part in the layout and definition of space. As an outcome, the interior design follows a fresh and innovative hierarchy of solid and fluid elements. 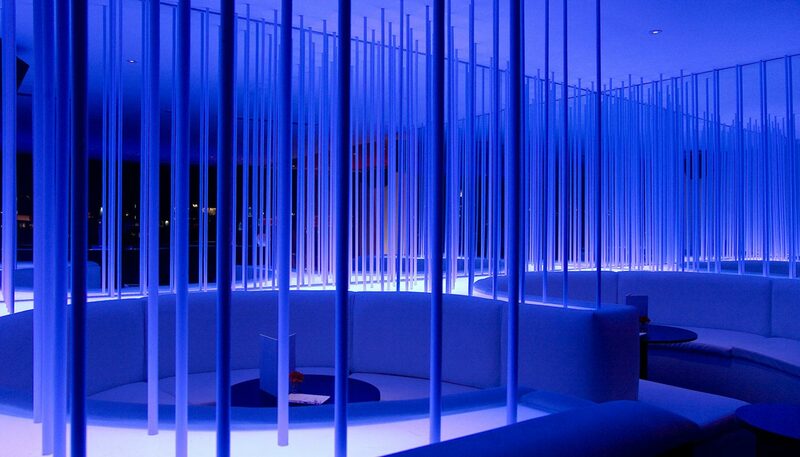 The Service and VIP areas represent the solid shapes surrounding a fluid space. The access through the solid bodies is like a stage with its red painted ceiling strip, reflecting the imaginary red carpet on the floor, leading us directly into an ambiguous theatrical set up, in which the viewer becomes the protagonist and vice versa.